I have been known to be a serious over thinker! Planning the garden has not been an exception to that rule! What usually ends up happening when I over think is that I just say “Screw it!” and leave myself with a huge mess, stumbling around trying to remember what worked and what didn’t a year ago. So with organizing being the theme of the new year, I took some time to really consider what is helpful and what isn’t! Elaborate and overly detailed apps have not been helpful for me at all. My chaotic scribblings in a journal have left me overwhelmed before I even get started. But simple and specific gives me the perfect visual to look back and reflect on what has, and hasn’t, worked for me. In the past I’ve tried the journal and different apps and they just seemed to either be too jumbled or be filled with so much data all in one place that I didn’t know where to turn first. So, this year I’m not winging it and I’m not overwhelming myself! 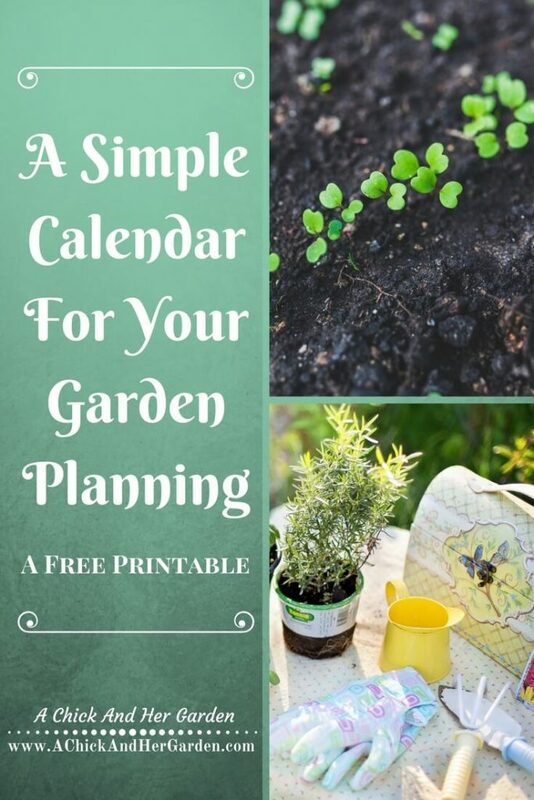 I have created an easy and obvious Garden Calendar, to track my planting for the year! The layout is a simple list and check system. It’s quick to fill out and lets me look back without sifting through pages or comb through an app to find what I’m looking for. It’s literally RIGHT THERE! I can look for a date or plant type and see when it was started by seed, transplanted or direct sewn in the garden. If you’re like me and need obvious information staring you in the face, this calendar is for you! To get your copy and find more resources, click the link below! At this rate folks, the Homestead Management Binder will be done in no time! Subscribe here for access to all of our free printables! Previous Post: « Are Your Happy Hens Paying Their Rent? Thanks Jenny! I think it will help out so much the following year! Good idea. I was winging it last year and forgot what a few seedlings were. A happy surprise! Thanks for sharing on the Waste Less Wednesday Blog Hop!